Improving the nutrition of our mothers and children during the first 1 000-day window helps ensure children get the best start to life and the opportunity to reach their full potential. What’s the First 1000 Days campaign all about? The Western Cape Minister of Health, Dr Nomafrench Mbombo, and Minister of Social Development, Adv. Albert Fritz, launched our province’s First 1000 Days campaign on 17 February 2016. 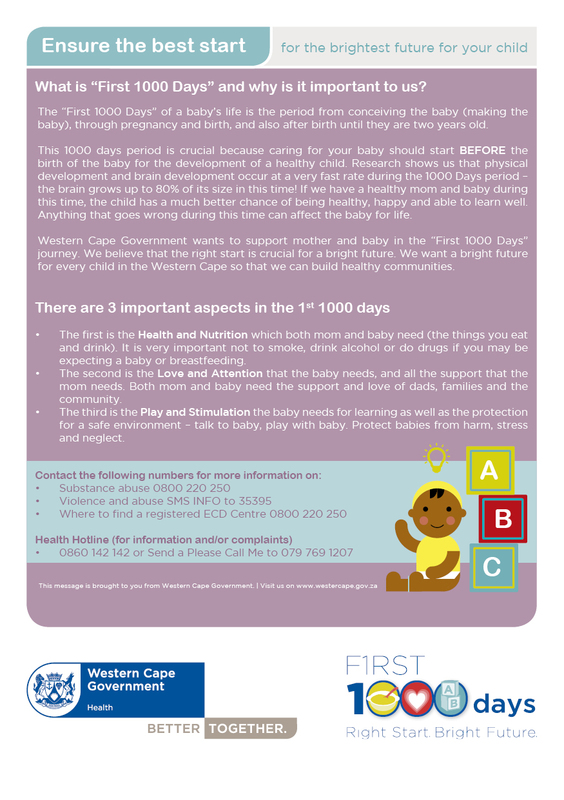 The project forms part of the province’s campaign to raise awareness of the crucial first 1 000 days of your child’s life. We believe that the first 1 000 days in a child’s development, starting from conception, moving through pregnancy, birth, and after the first 2 years of life, are crucial for securing a child’s bright future. “We believe that the healthy early development of a child, and the well-being of the mother, is the responsibility of the community. It takes the whole village to raise a healthy child,” said Minister Mbombo. reduce their risk of developing chronic diseases such as diabetes and heart disease later in life. play and stimulation your baby has a need for learning as well as the protection of a safe environment – talk to baby, play with baby. Protect your baby from harm, stress and neglect. 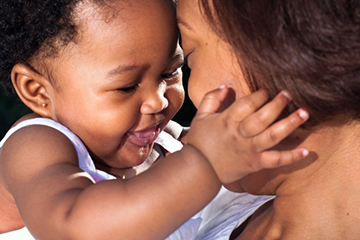 We realise that health and wellness requires a wider response than any one department can deliver, and that’s why the Department of Health and Department of Social Development (DSD) have joined together on the First 1 000 Days initiative. “Through our growing network of over 1700 registered Early Childhood Development (ECD) Centres, the DSD provides advice and support to countless parents of young children on matters ranging from nutrition to assistance with access to safe and creative spaces for children to play, grow and develop,” said Minister Fritz. “These centres are of great benefit to communities; providing a space to share and acquire knowledge that will benefit our children,” added the Minister. “Every parent wants to see their child succeed in school and unlock opportunities for their future. Investing in their healthy development within the first 1000 days is crucial to achieving this” said Minister Mbombo.